Benefits of Willard Water are one of the best kept nutritional secrets. Willards water is a unique patented substance, and a great antioxidant. Willard water is an effective way to alkalize your body! Willards Water – What is It? Willard water is the most effective antioxidant that you never heard of! It's been around for many years and has 21 US government patents on it. It was originally invented by Dr. John Willard Sr., Professor Emeritus of Chemistry at the South Dakota School of Mining and Technology. When Dr. Willard sustained a burn while working in his laboratory he tried using some of his “catalyst altered water” on it and found the burn healed in a very short period of time. This was his first indication of benefits of willard water. Shortly after his experience with the the burn, Dr. Willard began to research the properties of what he began to call Willard Water. Soon this substance was in demand by veterinarians, doctors and ordinary people who heard of its impressive healing qualities. Over time Willards Water was used on farm animals, on crops, and by people to treat a variety of health problems. The US patent office eventually granted Dr. Willard 21 separate patents for various uses of his catalyst altered water. In 1980 the CBS program “60 Minutes” focused on Willards Water and created a lot of nationwide attention. This lead to a Senate committee investigation into the claims of Willard Water. The U.S. House of Representatives Select committee on Aging heard testimony from doctors who had used it with their patients, scientists who verified its properties, and patients who received significant health benefits from using the water. The result of the investigation concluded that the benefits of Willard Water were apparently real and that the product was both safe and effective, even though the exact reasons it appeared to help people were not completely understood. I have used Willard Water for about ten years for a variety of purposes. Of course all of this is anecdotal on my part, but I have had very positive experiences with Willards Water, and continue to use it to this day. I get my Willards Water from the Nutrition Coalition Inc.. Kolleen and Charlie Sunde are great people to deal with, and the service is helpful, fast and friendly. Willards Water is a rare find in the world of nutritional products. It does what it claims to do, even though it is still unclear exactly how it works. The benefits of Willard Water have been enjoyed by thousands of people over the last 40 years and will continue to help people for many more years to come. 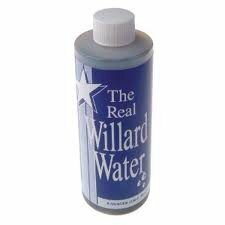 Do yourself a favor and check out the benefits of Willard's Water today. You won't be disappointed!